I would not write about this topic were I not convinced that a number of government agencies, hackers, and 12 year olds have already thought of this. Today I was looking at the Mac App Store and saw a new featured program that automatically translates from one language to another. The program reportedly translates 80 languages into 80 languages. Since I do not know 80 (or even 2) languages I have no way of verifying this claim. Nor do I think that there is any problem with this app or others of the type. But the App Store stimulated me to think about something. What if I an American security agency (NSA, CIA) wanted to slant American public opinion against the Arab World. It could (probably and extremely rapidly) change the translation dictionaries in a computer program to translate Arabic to English in a tone that subtly makes Arabic statements in public social media seem more aggressive and uncooperative than intended. Or conversely if I were an extremist organization that wished to slant opinion against the United States I might alter a translation dictionary to make English statements sound more negative or aggressive or dictatorial in Arabic. This can be done in any pair of languages in either direction. I have looked for effective computerized translations to English (or more properly Americanish) for decades, primarily because I have no language skills (or abilities) but want to know what the writers in Arabic, Russian, Spanish, Hebrew, French, Italian, Chinese, Japanese, Korean, and other languages are saying on social media. I try to follow many tweeters in the Arab World because I think that Americans are fairly oblivious to the intellectual and medical advances made there as they also are to the peaceful political and religious views of virtually every practitioner of Islam or resident of an Arab country. In the era of Twitter and numerous other social media services which are starting to provide automatic translations between languages, who tests to make sure that the auto translations do not intentionally or unintentionally slant public or scientific opinion. Obviously, those most dependent upon those translations are least able to judge this! Anytime I read something that seems odd from a speaker of another language, I wonder if this is the result of an auto translation program unintentionally or intentionally trying to sway my opinion. This is perhaps a compelling argument for visual thinking using minimal words. I use my Mac, and its software, primarily as an aid to thinking about everything from what to buy at the grocery store to how to develop large healthcare systems (after all, nobody working for Secretary Sebelius is doing any thinking so …). I do not need a word processor or a spreadsheet or a statistical program. 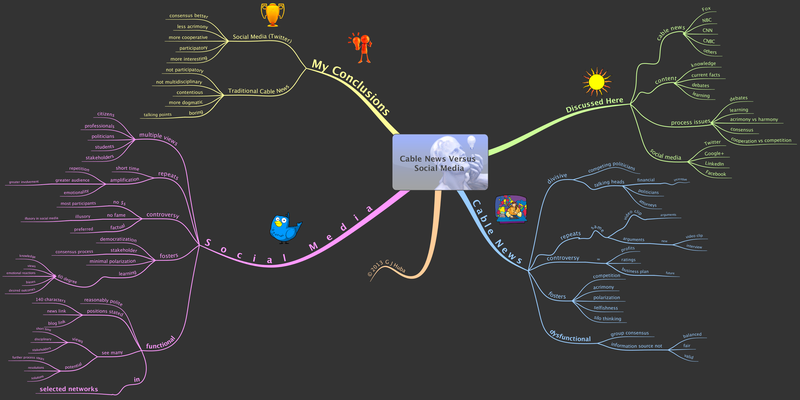 Rather I need a thinking environment, a writing environment, and a visualization environment. And a bunch of utilities to enhance the “big programs” that never come with all of the bells and whistles I need. This is what I like for the computing needs I have. Remember … the computing needs I have. 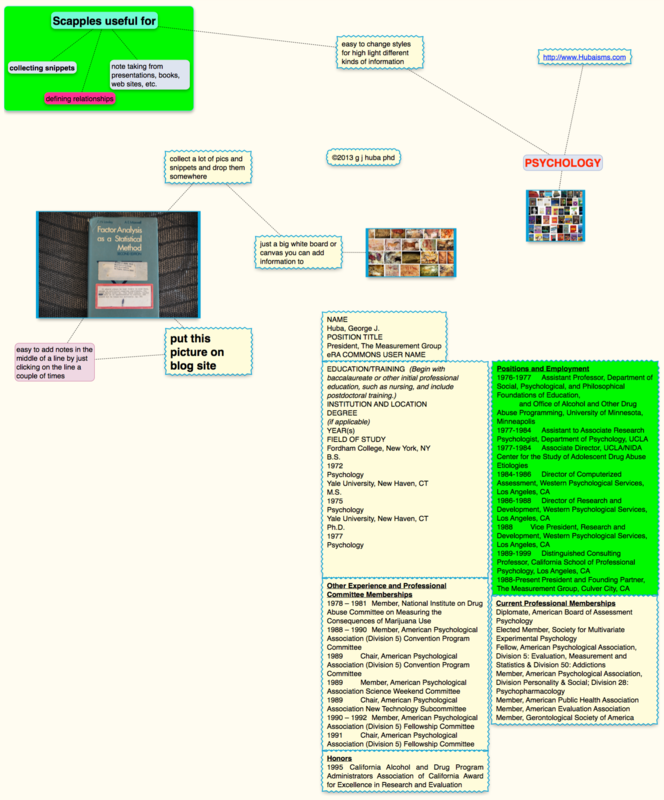 In the past I have blogged about my suggestion that Public Health students learn to use methods like mind maps and other visualizations to make health brochures and posters more informative and compelling to the public. Here I am going to show some examples. For each image, click to expand. The American Medical Association has this very informative page on its web site. 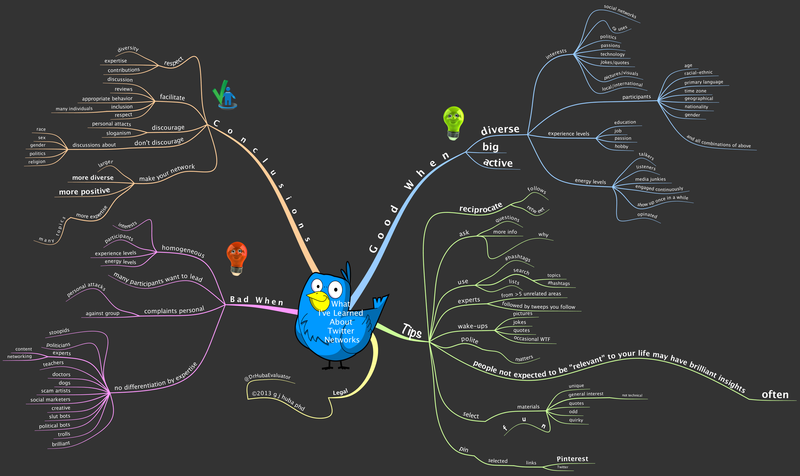 I believe that the following mind map is better for explaining the information. 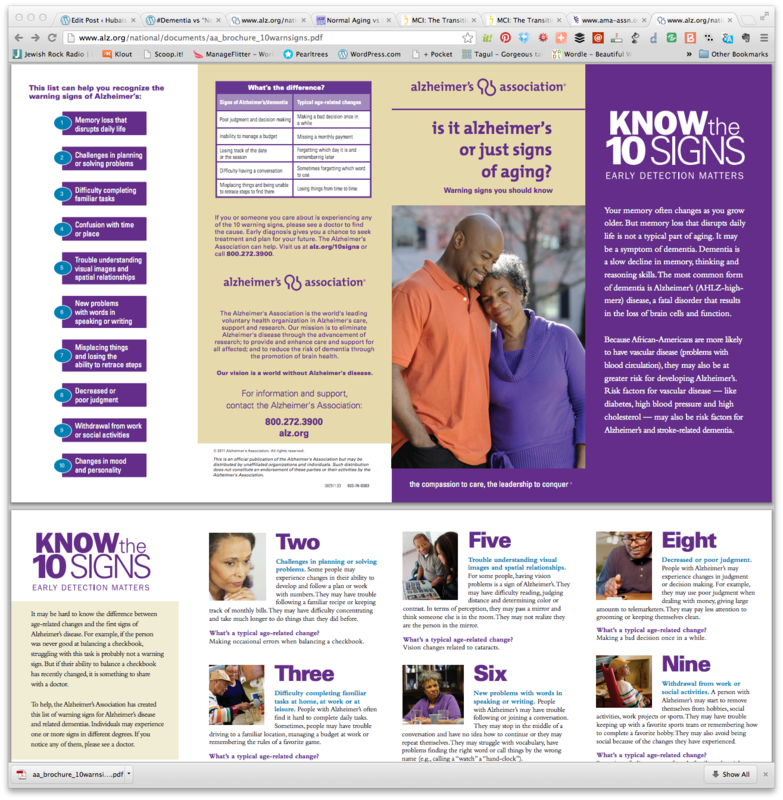 The Alzheimer’s Association has posted this professionally valid information on its web site designed in a way as to be compelling through its high density of high quality warnings. The “problem” with this brochure is that it is “too dense” for me (and probably anyone else without a professional background in medicine) to be able to understand and remember the information. How about including this graphic as a third page (ideally as the ENTIRE page 2) in the brochure. 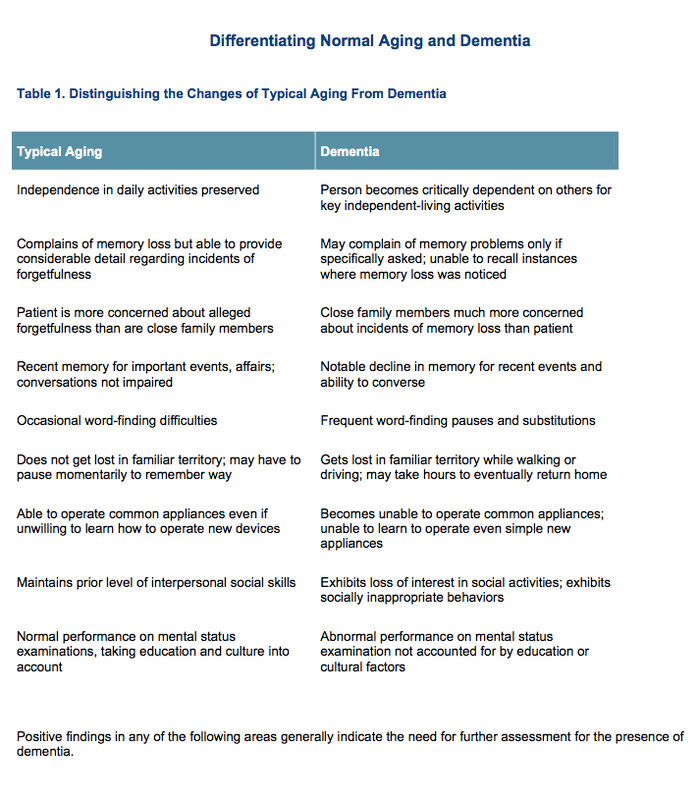 I would bet that the outcomes from the extra understandability and memory retention for this critical information would prove to far offset any additional printing costs. There have been several new “blank canvas” Mac apps released recently. 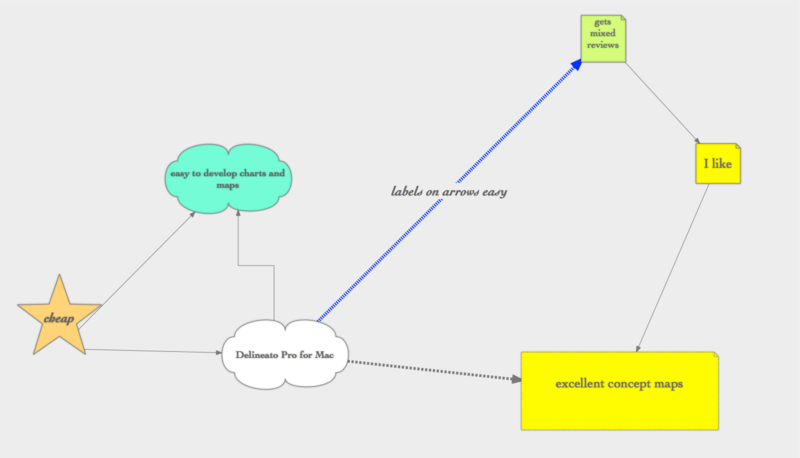 The main three are Scapple (A+), Delineato Pro (A-) and Mindix (still in early development). 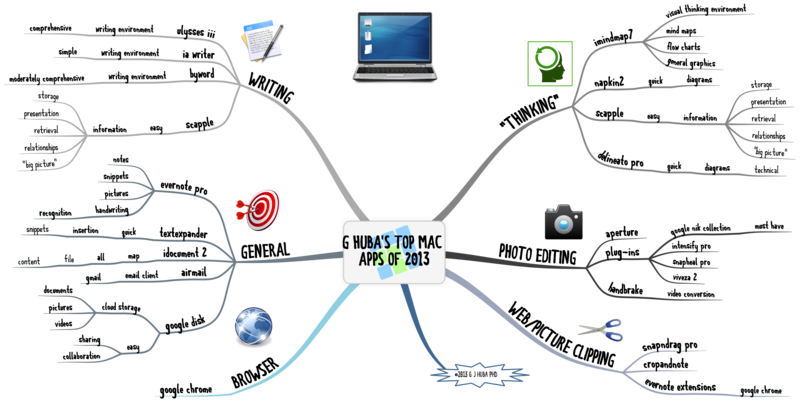 These programs are not mind mapping ones. 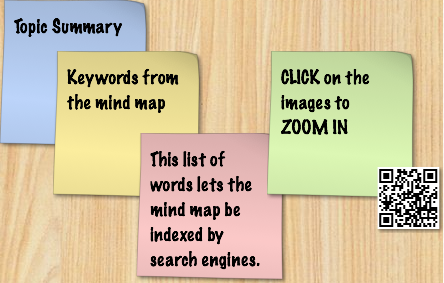 They are very simple ways of cutting and pasting snippets, links, pictures, paragraphs and other information onto a large canvas or sheet of paper like those we used to decorate the walls during meetings. 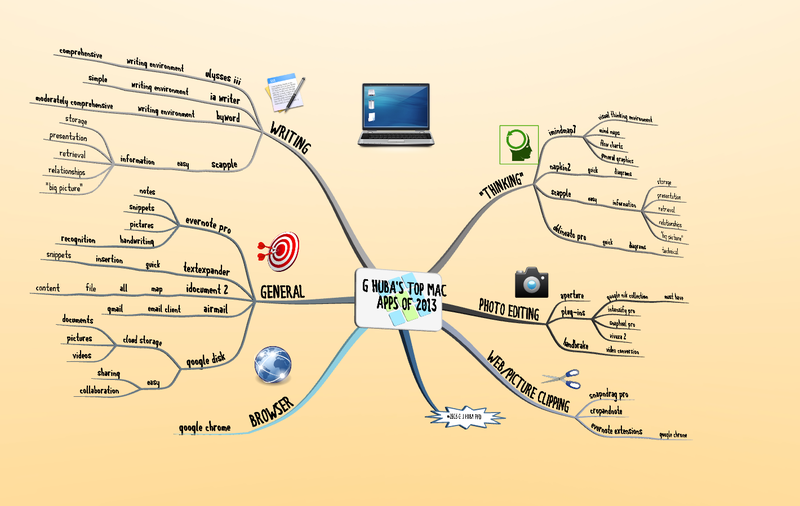 The mind map below shows features of the various blank canvas apps. Scapple and Delineato are both highly recommended. 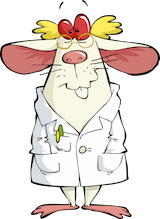 ADDITION March 2, 2014: Big Hairy Goal has recently been released for the Mac and is comparable to Mindix but much more highly developed. I consider Big Hairy Goal worth rating A.
i use twitter. 140 chars enuf. pls click pic 2zoom. Biggerplate.com (@Biggerplate) has started to post video recordings of the presentations at their recent mind mapping conference in London on their web site. The first four presentations are now available online at this link. All four presentations are excellent and are by experts willing to talk to their peers frankly and clearly thus resulting in a very large exchange of bottom-line information. 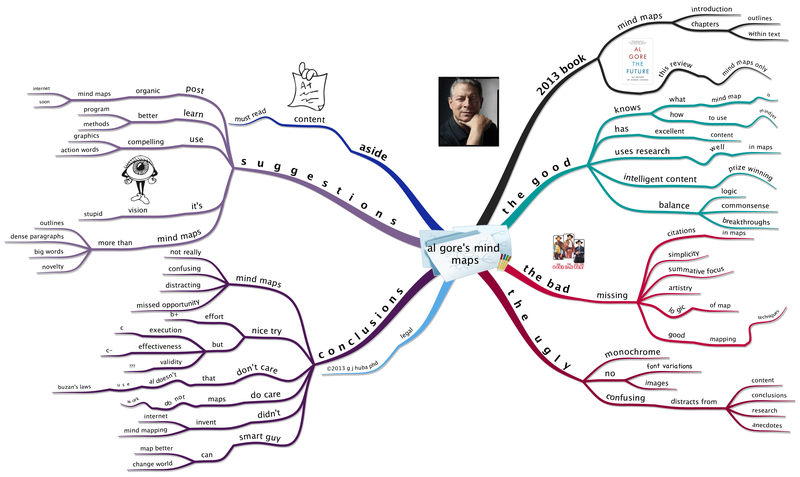 The 20 minute presentation by Chris Griffiths (@GriffithsThinks) is probably the best talk on modern mind mapping I have ever seen; watch this if you want a jump start into modern mind mapping. I agree with about 90% of what Mr Griffiths says, and he is extremely articulate about the big issues. This appears to have been a great conference. Four more similar conferences are being scheduled around the world, with two coming up in the USA (San Francisco, Chicago). Liam Hughes and his staff at Biggerplate facilitated an excellent conference and more importantly, started a valuable ongoing communication process. Highly recommended. 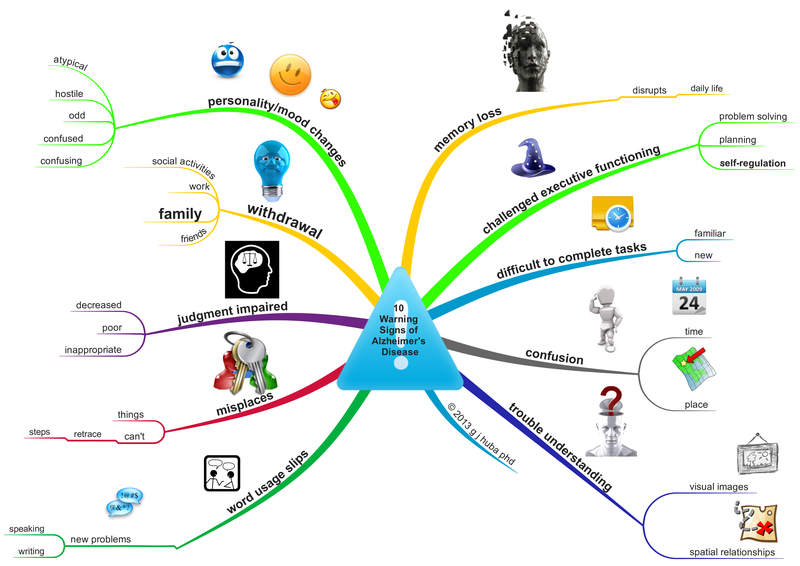 If you believe that visual thinking (and mind mapping) can be useful in your field, try to watch some of these short videos. Like them, I do. 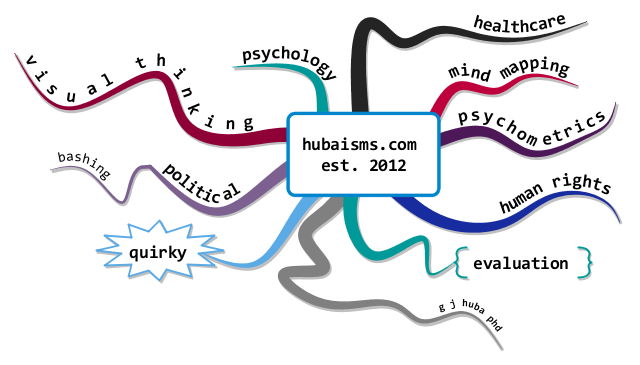 I am disappointed in the mind maps in your new book. They do not explain, summarize, teach, or aid retention. Your political supporter, sharer of views about conditions and solutions, and admirer. PS. Please click on the image to zoom in. For many years, I was a heavy consumer of cable network news. I had (and still have) a TV in my home office that used to run all day on one or more cable news networks. As I started to participate in social networks and blogs and following the links for news suggested by others, I found social networks a much better delivery system for high quality news, comment, discussion than cable news. 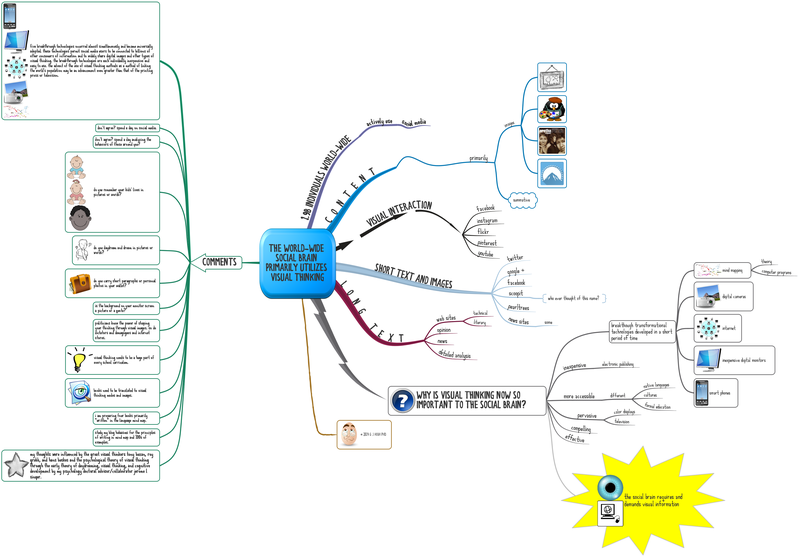 “Twitter killed the Cable Network News Star.” My observations about social media and cable network news are shown in the mind map below.